We are excited to present Poetry in Union: Railway Lines and Valentines, a public art experience in collaboration with The League of Canadian Poets. Join us on Wednesday, February 13th in the West Wing for a truly romantic, enlightening and breathtaking experience. Making use of the spirit of Valentine’s Day to offer people personalized poetry. Share your story and the poets will transform them into personal poems as a keepsake. At this event, eight of Toronto’s strongest, most diverse and most talented poets will provide personalized poetry on request to reflect participants’ own experiences and stories. This is a unique opportunity to interact directly with an artist to create a romantic valentine’s gift, or to celebrate a friend, experience, or key moment to be celebrated. This Valentine’s Day–themed event is the perfect way to add a touch of art, poetry, and romance to the daily lives of commuters and travelers in Toronto. In addition to original poetry, commuters will have access to free treats and hot chocolate, romantic gifts, spoken word poetry performances and live piano. The eight poets who will be making Poetry in Union possible are Lesley Belleau, Dominique Bernier-Cormier, Ronna Bloom, Michael Fraser, Suparna Ghosh, Jessica Heimstra, Max Layton and Rajinderpal Pal. The event will also feature an introduction from Toronto’s Poet Laureate, Anne Michaels, and spoken word performances by SPIN El Poeta and Lara Bozabalian. 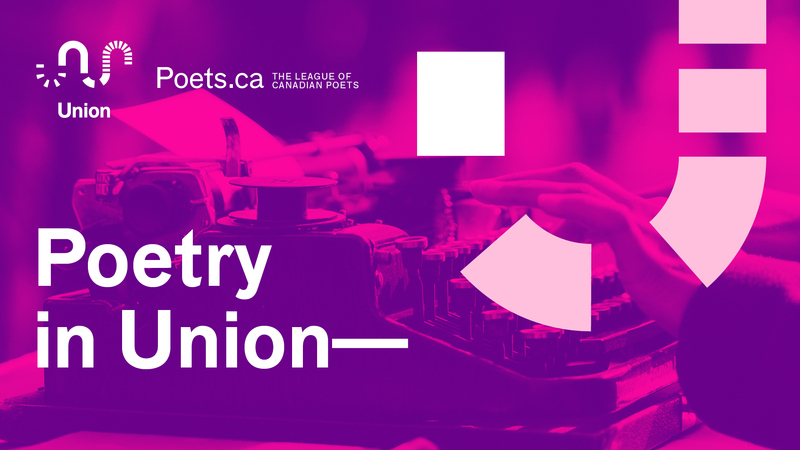 Share your excitement or follow along with other people’s Poetry in Union experiences by following @torontounion and @canadianpoets on Twitter, and using the hashtag #PoetryInUnion!